TLDR: I had a lot of fun with this. So far I'm very happy with the components I picked. Aesthetically it looks super clean. Acoustically it's ridiculously quiet. Corsair RAM RGB is amazing. AORUS motherboard is solid, but it's RGB is meh, so I have it turned off at the moment. Haven't OC'd anything as of yet, XMP of 3200Mhz was a non-issue. Cost more than I expected, but I'm worth it. I have a history of running into thermal issues with the machines I've built in the past. My Pentium III ran hot, my Pentium 5 ran hot, my Bloomfield i7 920 still runs hot, so this time around I wanted to make a conscious effort to cool my rig a little better. EDIT (APRIL 4, 2019): Just a couple of quick updates. 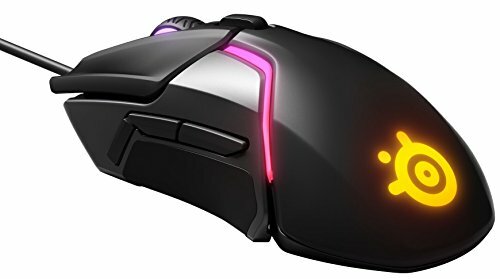 I'm in the process of RMAing my Rival 600 mouse. I love the mouse it feels great, but there is some adhesive that is sorta... melting? off the thumb buttons in particular. 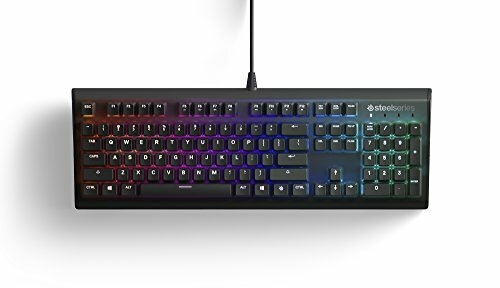 It seems this is sort of a known issue, and so far SteelSeries has been good in regards to their RMA process. Won a free TeamGroup RGB SSD, so I whipped into my rig for the time being. I'll hopefully migrate it into a build for my kids, but until then, it gets to live in my machine, illuminating my data! EDIT: After replacing the stock exhaust fans, and installing 2 intake fans (correctly), my temps have normalized really nicely, especially since I've been running at 5.1Ghz for a while. Gaming temps are 65-75C, with the avg being in that 68-72C range over a few hours. Yes, I can make it crash by throwing Prime95 at it, but I don't do what Prime95 does. Stable enough after hours of Blender and RealBench without super scary thermals. Still very happy with what I've put together. i7-9700k and Dark Rock 4 Insert the bequiet! Dark Rock 4 on the i7-9700k. A number of reviews say this thing is a real challenge to install. It really wasn't. I personally had some difficulties with it because I was anxious as hell having never installed any sort of after market cooler, but once i smartened up, pulled up the YouTube installation video and followed it, it was actually quite straight forward. My only gripe with this cooler is that it impedes my first RAM slot unless I use low profile RAM. I had already purchased the Corsair Vengeance RGB Pro before deciding on air cooling. That is entirely on me. I'm fairly certain that dumping 4 LPX modules in would be fine. Haven't tried OCing the 9700k yet. All cores are sitting at 28-30C while typing this (so idle) at stock configuration. GPU Continuing with my theme of thermal control, I opted for the RTX 2070 XC Gaming Ultra from EVGA as it's cooling solution is monstrous, and I really have no need for additional expansion cards in the foreseeable future. I haven't even been able to test this behemoth as of yet, not truly, but I'm looking forward to pushing it a little harder in the near future. I had originally wanted EVGA's 1070ti FTW2 card. It was a really solid price at Black Friday, and I didn't pull the trigger on it. After Black Friday it had a price near enough to the 2070, and then on Boxing Day the 2070 was available for $689.99 so opted for the newer model. Haven't fiddled with OCing yet. Still waiting on some games to push it. Motherboard I went with the z390 AORUS Ultra motherboard, knowing full well it is almost certainly overkill for my needs. I had seen/read a number of reviews on the z390 AORUS lineup indicating that it probably has one of the best power delivery systems available on a z390 board presently, and cooling solutions to accompany it (there is that thermals theme again). The Ultra iteration is quite similar in a lot of respects to the rest of the AORUS lineup, but one (maybe silly) feature it has over the cheaper iterations is it has a thicker PCB. Knowing I was going with the Dark Rock 4, and XC Gaming Ultra (both quite heavy beefy components), I wanted a more physically durable board to help support them, and the extra layers should hopefully dissipate heat better (this could be broscience, but anyway...) EVGA's z390 FTW board also has a 6 layer PCB, but has been out of stock everywhere since I started shopping. RGB on the motherboard is kind of meh. If that is why you're spending $300 on a motherboard, find something with prettier RGB. RAM What is there to say about RAM? The RGB on the Vengance RGB Pro is incredible, and by far the nicest looking RGB in this build. It snaps in place, went to 3200mhz no problem (I haven't explored going beyond that as of yet). Really nothing to say other than it's too tall to use my 1st slot with the cooler as I mentioned earlier. Case First off, I did most of the build outside of the case. CPU, cooler, and RAM were all installed prior to putting the motherboard into the NZXT h500i. The build quality of the h500 seems really good, I'm quite happy with the look and feel of this enclosure. It's leaps and bounds ahead of my Thermaltake case from my cough 2009 cough build, but I'd expect it to be. Due to the size of the Dark Rock, I did have to remove the rear exhaust fan when installing the motherboard. Cable management was pretty simple and effective. I've never built something that looked as clean as this does. The back panel could be cleaner, but by the time my build got to that point, I was getting antsy to turn this thing on and play with it. Again, keeping thermals in mind, I added a bequiet! SilentWings 3 140mm intake fan in the front. I'll likely add another down the road just to ensure that things stay frosty come the summer time. Installation was a breeze. PSU I was torn between a bequiet! PSU and EVGA during the Black Friday sale-athon. I opted for the EVGA as it had a 10 year warranty rather than a 3 year warranty. I've learned that EVGA has a great reputation in the industry, especially when it comes to service, so great service, and a 10 year warranty sounded like the way to go for me. Storage It's an SSD, nothing fancy here. No need for nvme for me, I can handle waiting the extra couple of seconds for a system boot. I opted for the Samsung because it was a great buy on Boxing Day and has an incredible reputation. 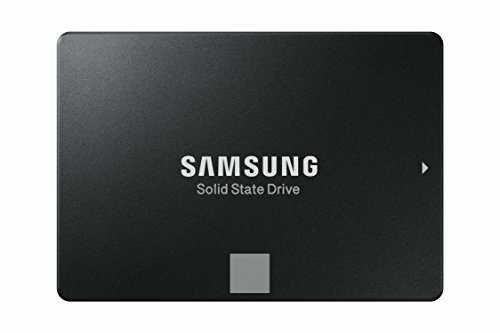 My old 250GB Samsung SSD has never had an issue so I can't see why not sticking with Samsung here. Externals The monitor is gorgeous. I know not all media will properly support 21:9 but so be it. 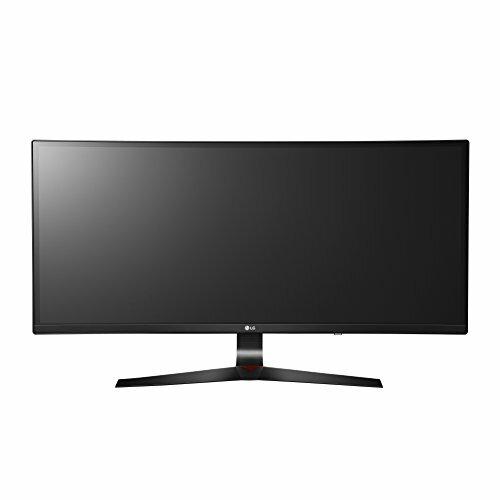 Going to 144Hz over my previous 24" 60Hz Samsung is significant. My only gripe about the monitor is that it's not 1440p. To get the rest of what this thing offers and 1440p was pretty much an extra $200, and at this point cost was already getting to be more than I originally set out to spend. 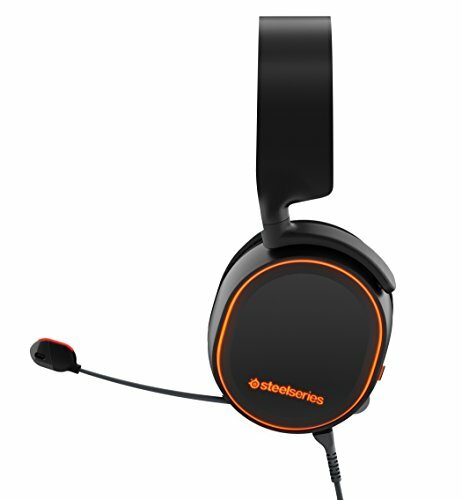 The headset I got last year, and turned me onto SteelSeries as a brand. I picked up a Rival 100 mouse a while ago as a work mouse and was really impressed with the build quality and general feel of use, so I had no problems replacing my ROCCAT kit with SteelSeries accessories. Wow, this was way longer than I expected. The whole research and planning that went into this goes back to November. It did end up costing more than I had planned, but obviously I don't do this often, and very rarely treat myself. This year for Christmas, I treated myself. All that is left is to enjoy it, and build a new desk to put it on! A number of reviews say this thing is a real challenge to install. It really wasn't. I personally had some difficulties with it because I was anxious as hell having never installed any sort of after market cooler, but once i smartened up, pulled up the YouTube installation video and followed it, it was actually quite straight forward. My only gripe with this cooler is that it impedes my first RAM slot unless I use low profile RAM. Haven't tried OCing the 9700k yet. All cores are sitting at 28-30C while typing this (so idle) at stock configuration. I went with the z390 AORUS Ultra motherboard, knowing full well it is almost certainly overkill for my needs. I had seen/read a number of reviews on the z390 AORUS lineup indicating that it probably has one of the best power delivery systems available on a z390 board presently, and cooling solutions to accompany it (there is that thermals theme again). The Ultra iteration is quite similar in a lot of respects to the rest of the AORUS lineup, but one (maybe silly) feature it has over the cheaper iterations is it has a thicker PCB. Knowing I was going with the Dark Rock 4, and XC Gaming Ultra (both quite heavy beefy components), I wanted a more physically durable board to help support them, and the extra layers should hopefully dissipate heat better (this could be broscience, but anyway...) EVGA's z390 FTW board also has a 6 layer PCB, but has been out of stock everywhere since I started shopping. RGB on the motherboard is kind of meh. If that is why you're spending $300 on a motherboard, find something with prettier RGB. It's an SSD, nothing fancy here. No need for nvme for me, I can handle waiting the extra couple of seconds for a system boot. I opted for the Samsung because it was a great buy on Boxing Day and has an incredible reputation. My old 250GB Samsung SSD has never had an issue so I can't see why not sticking with Samsung here. I was torn between a bequiet! PSU and EVGA during the Black Friday sale-athon. I opted for the EVGA as it had a 10 year warranty rather than a 3 year warranty. I've learned that EVGA has a great reputation in the industry, especially when it comes to service, so great service, and a 10 year warranty sounded like the way to go for me. Love the feel of the keyboard so far. RGB on it is really nice, though I don't have it doing anything too opulent. I like the minor effects, without being hit in the head with an RGB Hammer. Feels great in the hand. Currently only using 4 of the 8 additional weights that SteelSeries provides. I'll likely tinker with the weights some more, but so far I really like this thing. Can't remember where I found it, just liked the look of it and it was 21:9. I put it in imgur for you. I have the AORUS Ultra and clocking the XMP to 3200 was the first thing I did to it. Easiest thing ever, and absolutely supported on my Vengeance RGB Pro. Hi @dreadvolt ! Thanks for the reply. That is good to hear. Just out of curiosity, have you updated the bios firmware? If so, on which revision are you? Yep, I'm on the Ultra F6 BIOS. I've also updated all the drivers manually, and tend to stay away from Gigabyte's "Utility" downloads. If you're referring to the Vengeance RGB Pro firmware, everytime I check within iCUE, it says it's up to date. Thanks, I love it. Trying to decide how to tinker with it next right now actually. Thanks! Yep, dual channel 3200Mhz using the 2nd and 4th slot in the motherboard.